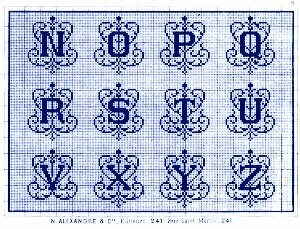 N. Alexandre & Cie., ed. 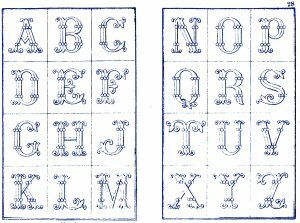 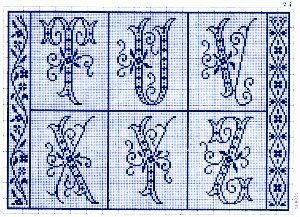 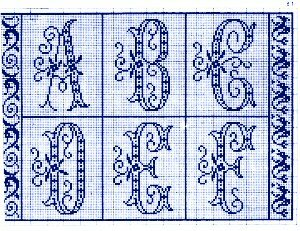 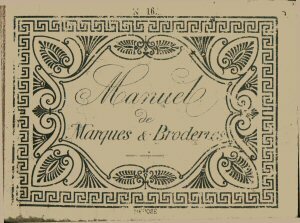 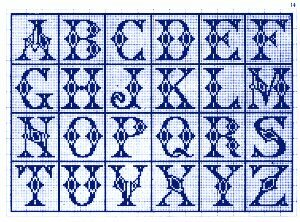 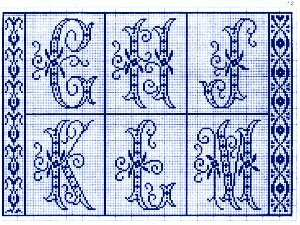 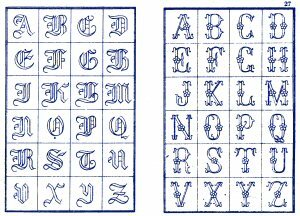 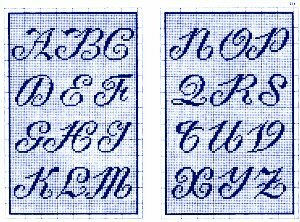 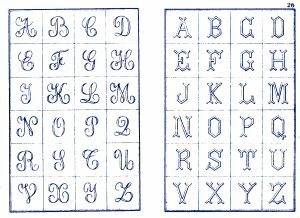 Charted monochrome alphabets, and freehand drawn alphabets for monogram use. 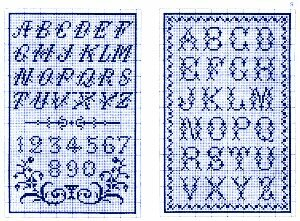 Assorted sizes, from small to large in many styles. 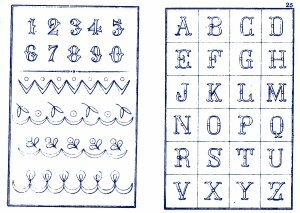 Some small ornaments (crowns, barnyard animals, steamship), also some numbers. 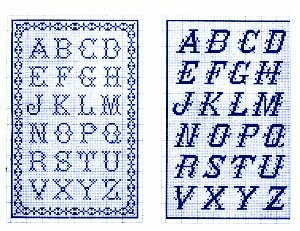 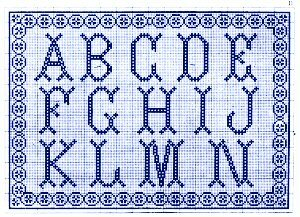 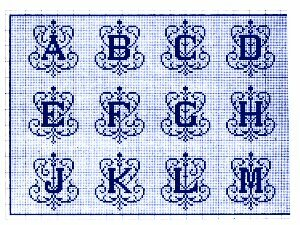 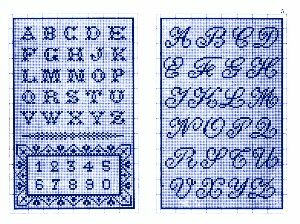 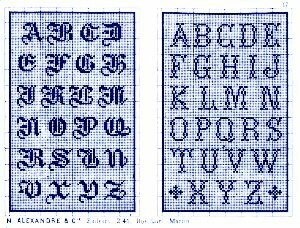 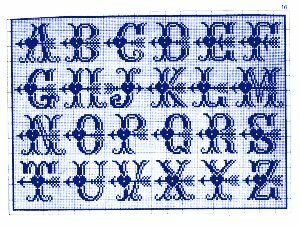 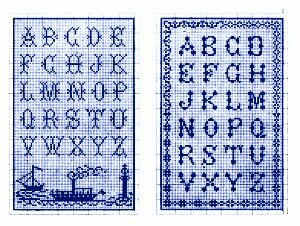 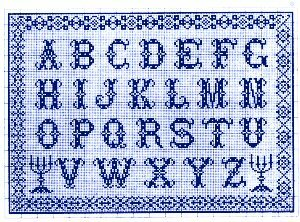 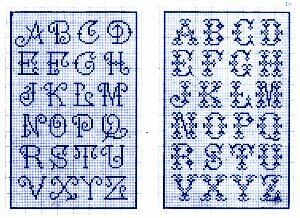 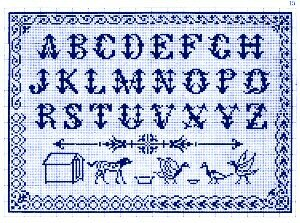 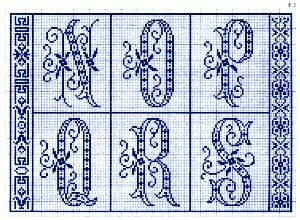 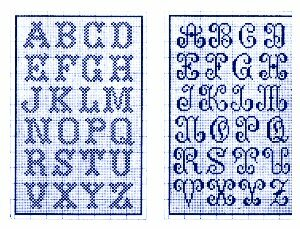 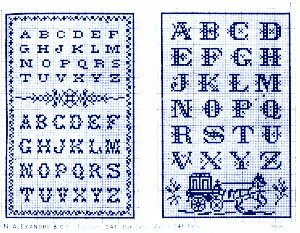 Charts suitable for cross-stitch and other graph-dependent styles. 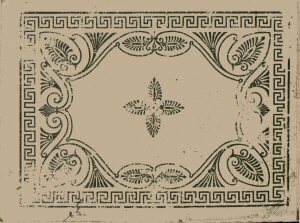 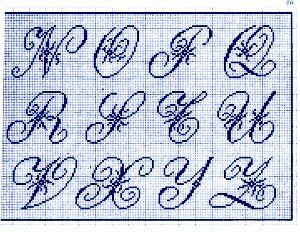 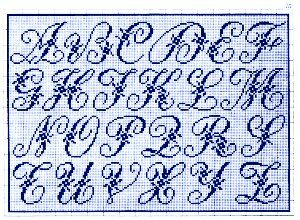 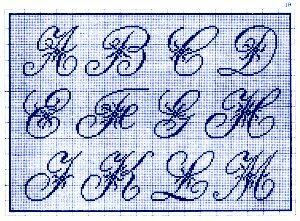 Freeform suitable for whitework or other surface embroidery. 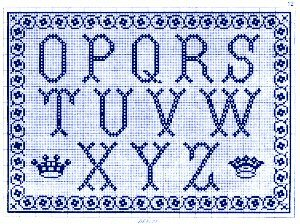 Scans donated and edited by Sytske Wijnsma, not charted yet.